The Pacific Biodiversity Information Forum (PBIF) seeks to develop a complete, scientifically sound, and electronically accessible Pacific biological knowledge base and make it widely available to local, national, regional and global users for decision-making. 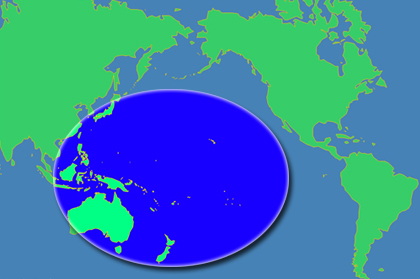 PBIF’s geographic scope includes the countries of Polynesia, Micronesia and Melanesia, as well as the Australasian countries bordering these regions. This website is an information resourse only and does not represent the organisation or any of its members. The purpose of this wesbite is soley to provide access to information published by the Pacific Biodiversity Information Forum. For information concerning the Pacific Biodiversity Information Forum (PBIF), please contact Rhyn Davies at rdavies@usgs.gov. We can all contribute towards a healthy planet and clean oceans by reducing pollution and respecting the environment. You can start today by learning how to save energy and how to save water at your home or workplace.